Growth is an important part of any urban environment. Whether that’s infrastructure growth, business growth, population growth or employment growth, a city is always looking to expand and improve its input and output. For Tampa, Florida, that growth is boosting the city in two major sectors: innovation and the environment. 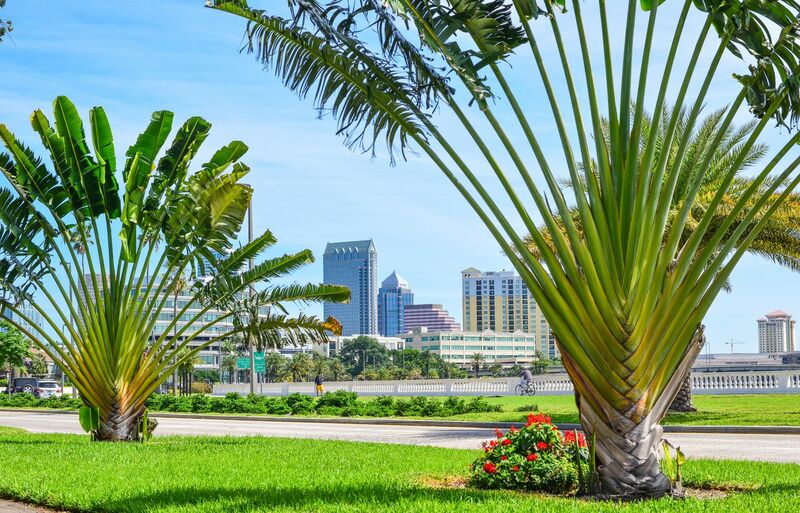 Recently named the Best Tree City on Earth by Treepedia, an interactive site run out of MIT that measures city canopy coverage, Tampa boasts tree coverage of 36.1 percent, the highest of any city measured. While that number might be news to non-Tampa residents, the city has long been proud of its greenery and has measures in place to ensure it stays that way. Top three cities with the greatest amount of canopy coverage, as determined by Treepedia. To protect its tree canopy, the city plants over a thousand new trees each year and accepts requests to plant trees in the public space in front of residents’ homes. In protecting the old grant trees and encouraging developers to incorporate greenery into their plans, the city is unsurprisingly one of the greenest places to do business. But trees aren’t the only thing blooming in Tampa. With new tech-based industry projects moving in to the area, new co-working spaces and a massive $3 billion investment to redevelop the city’s downtown waterfront district, funded by Tampa Bay Lightning owner Jeff Vinik and Bill Gate’s investment fund Cascade Investment LLP, the city is experiencing a major boom that’s been much needed since the 2008 recession. South Tampa Bayshore Blvd courtesy of Smith & Associates. Traditionally, Tampa’s employment opportunities were centered around the Macdill Air Force Base, the city’s many call centers, agriculture and tourism. While tourism will always make up part of the area’s DNA and there will always be ample agricultural opportunities, the city needed a more sustainable economy, where employment opportunities wouldn’t depend on cheap labor. Today, while many of the call centers have outsourced those specific jobs, the companies have evolved into HR services, financial services, technology firms and more that provide highly skilled, highly paid employment opportunities. Similarly, the University of South Florida has undergone an evolution of its own and is now a leading producer of patents and recently became home to the Florida Center for Cybersecurity. Thanks to a combined effort from the Mayor’s office, outside investment and commercial developers, the city’s downtown is now a major draw in bringing the millennial workforce and smaller businesses to the city. Like many modern U.S. cities, Tampa’s downtown struggled as suburbanization took hold. After work hours on weeknights, the downtown essentially cleared out. Today, with dozens of restaurants, bars and interesting places to visit—like the historic neighborhood of Ybor City and the riverside mixed-use Armature Works building—people are not only working and playing in downtown, they’re living there, as well. Ultimately, the revitalization of Tampa comes down to the people who are investing their time, money and effort in making it one of the strongest economic drivers of the Southeast.